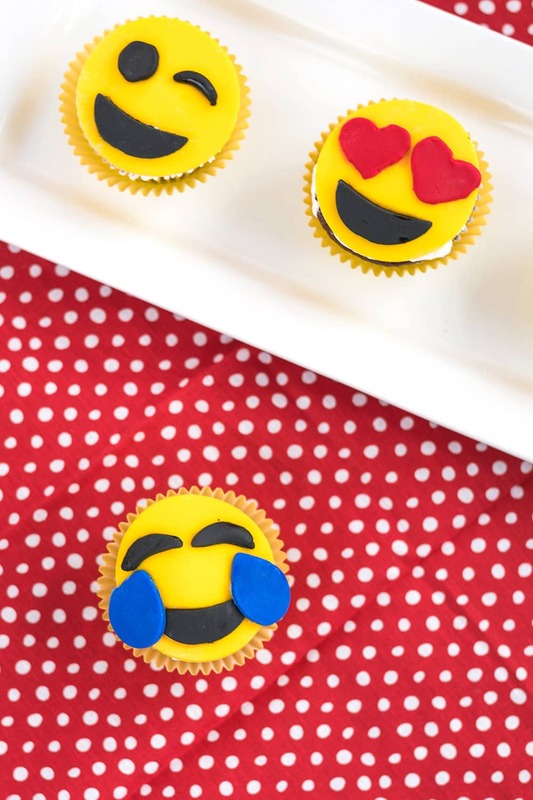 Here is an emoji cupcakes recipe that is sure to turn many faces into smiley faces. 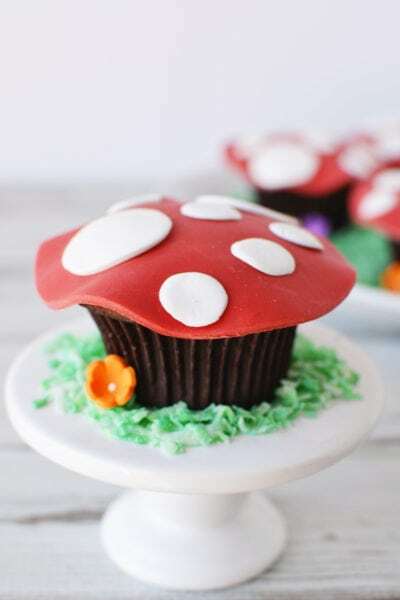 Get everyone involved to decorate these cupcakes for a birthday party, sleepover, movie night, or just for fun. Make it a game and have a party where you communicate using only emojis. Perhaps around a campfire while sending smoke signals for good measure. If you love cupcake decorating, emoji cupcakes are another fun way to get creative with fondant. In a world where everyone is social and very few are personal, these adorable little ‘picture characters’ allow us to give our words our intended tone. I once wished for a sarcasm font, but thanks to emojis, can freely emote with the full gamut of feels–avoiding all sorts of heinous miscommunications. Did you know that the word “emoji” isn’t a word-mosh between emotion and emoticon? In truth, it’s Japanese for pictograph. Funny how in a time of such advanced tech, we’re regressing to our cave wall methods of conversing. Once used solely as text message enhancers, we now see these funny emojis everywhere. They have their own merch, they are all over social media, and they even have their own movie. © 2017 Sony Pictures Animation Inc. All rights reserved. 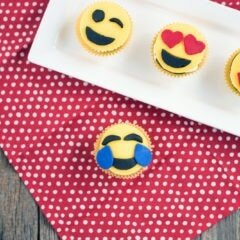 These emoji cupcakes look more complicated than they are. The cookie cutters make it easy to make the right shapes out of fondant. 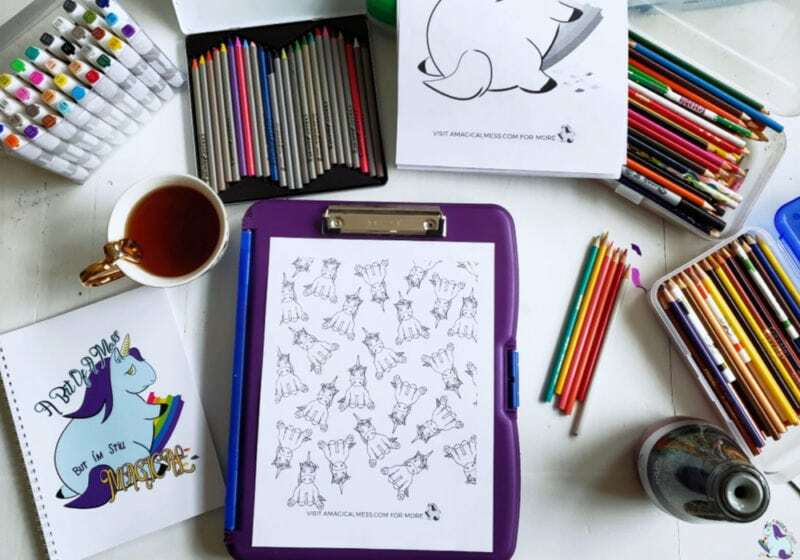 Pick your favorite emoji and get creative! Mix together the cake mix, flour, sugar, salt, water, vegetable oil, vanilla extract, sour cream, and eggs until well blended. Line a cupcake tin with cupcake liners and fill till they are 3/4 full of batter. Place in the oven at 325 degrees and bake for 18 minutes. Allow the cupcakes to cool before adding decorations. Nutrition facts do not include icing or fondant. Please see blog post for complete decorating instructions. Tip: Cover your surface with POWDERED SUGAR, so the fondant does not stick. If you get powdered sugar on top of the fondant, simply brush it off. Roll the Yellow fondant out on your powdered sugar surface using a fondant roller. 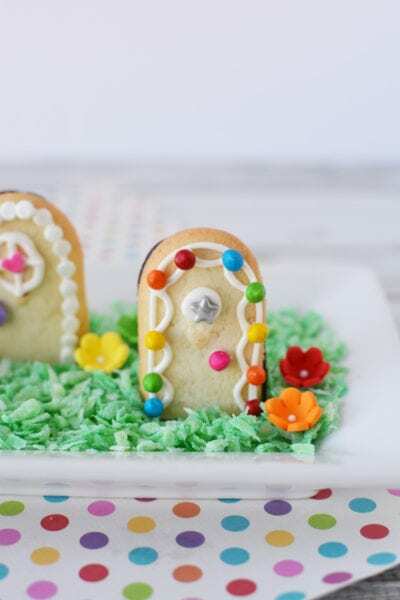 Cut the faces out with a 2 1/2 inch round cookie cutter. Cut as many as you need for the cupcakes. Next, roll out the black fondant and cut out the eyes and mouths you will need for the faces. 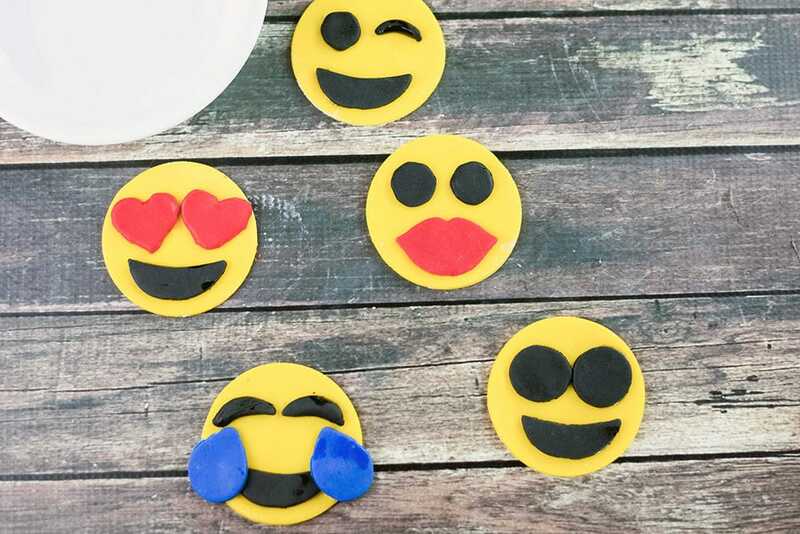 Use the Mini Emoji Cookie Cutters. Next, roll out the blue fondant for the tears. Cut as many as you need to create the faces. 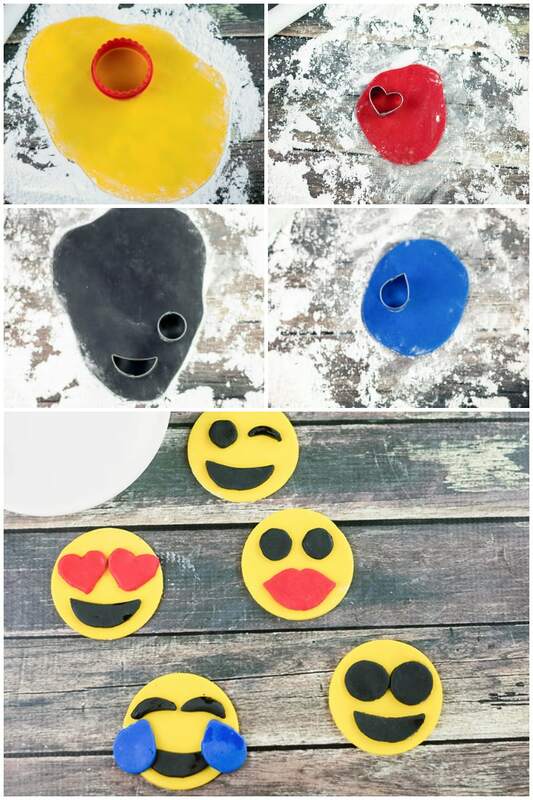 Roll out the red fondant to make any heart shaped eyes or lips you will need for faces. 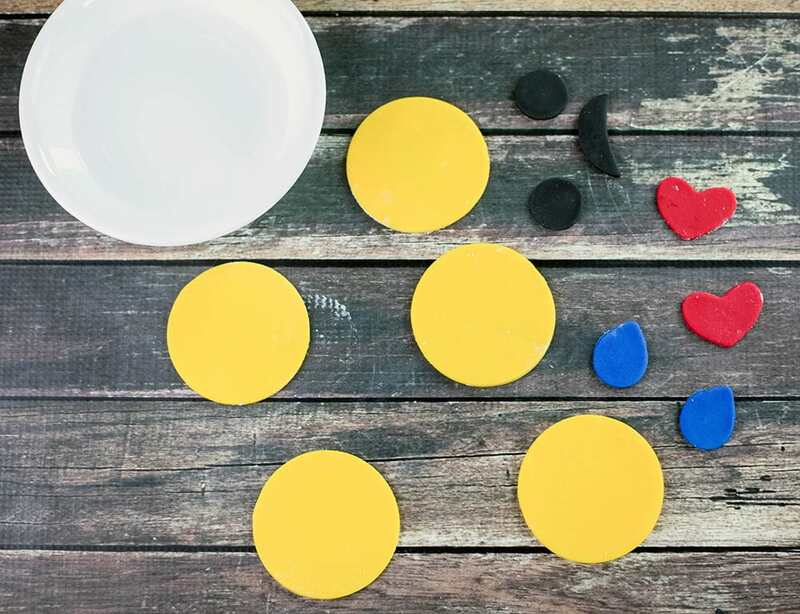 Once all the shapes are cut out, it is time to put them together. 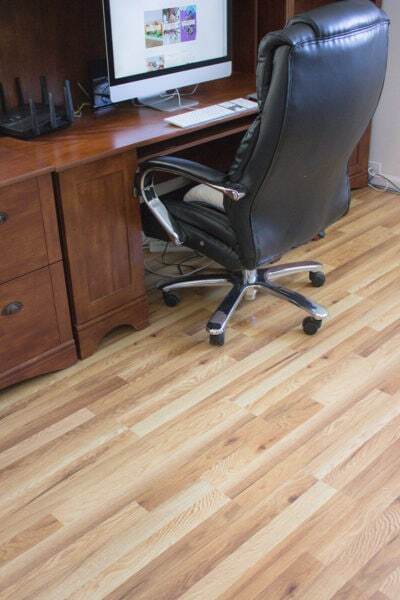 Get a small bowl of water to use to adhere the pieces together. Add a little bit of water to the backs of the facial features and add them to the yellow circles. I did find I needed to trim up the eye circles and the hearts to get them to fit correctly. I also shaped the winked eyes myself. After the faces have dried, add a little bit of decorators icing to the tops of the cupcakes. Then add the faces on top. 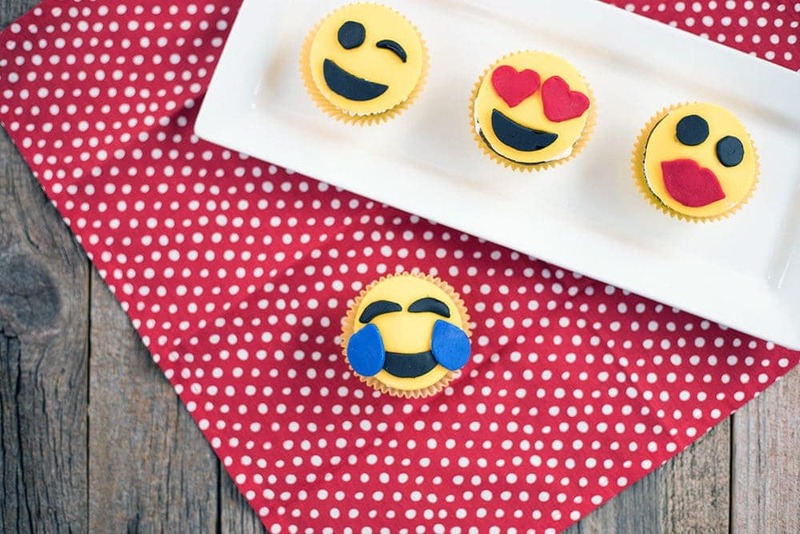 Overall, this emoji cupcakes recipe is more fun than it is work–definitely a kid-friendly activity. Have a friend who’s always texting with a crazy amount of emojis?! 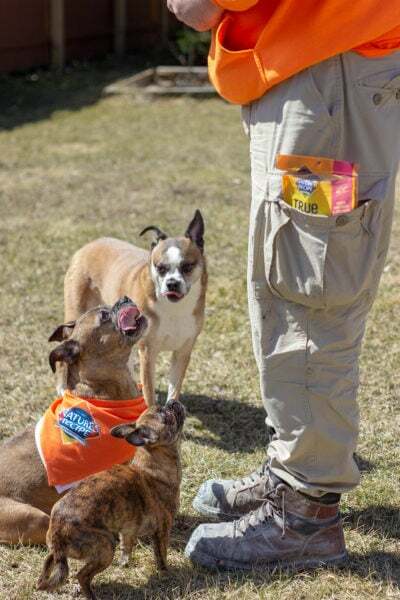 Share this recipe with them! Subscribe to the blog for more recipes like this. 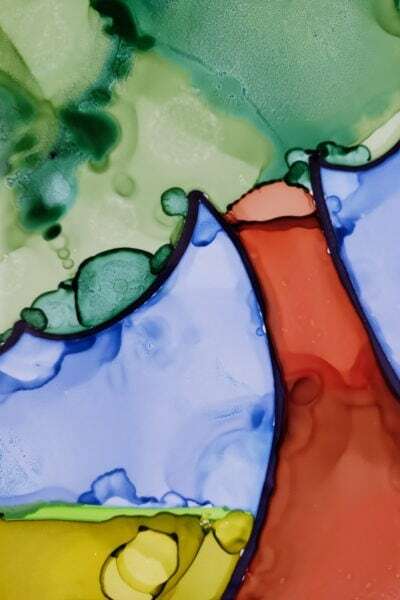 Our friend, Devon, from Midwestern Moms, created this recipe for us. 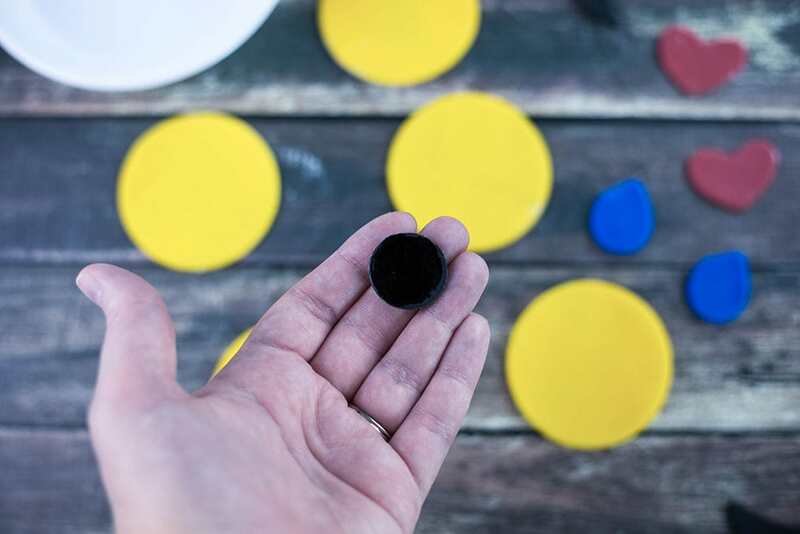 Be sure to visit her candy-coated emoji OREOS for another cute treat. For more cupcake fun, try this fall themed cupcakes recipe! 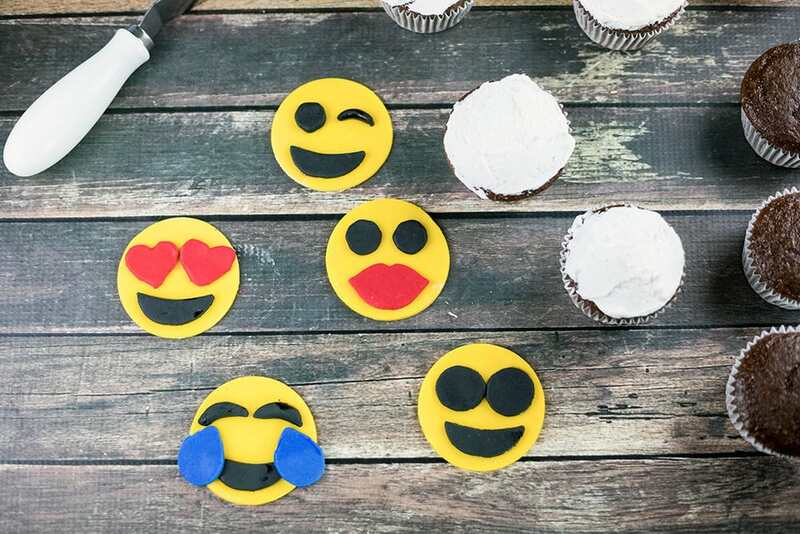 Who would you make this emojis cupcake recipe for?